Marthe Reed has published five books: Nights Reading (Lavender Ink, 2014); Pleth, with j hastain (Unlikely Books, 2013); (em)bodied bliss (Moria Books, 2013); Gaze (Black Radish Books, 2010); Tender Box, A Wunderkammer (Lavender Ink, 2007). The author of six chapbooks, her collaborative chapbook thrown, text by j hastain with Reed’s collages, won the 2013 Smoking Glue Gun contest (2016). Her poetry has been published in New American Writing, Golden Handcuffs Review, Entropy, New Orleans Review, HOW2, Fairy Tale Review, Exquisite Corpse, BlazeVOX, and The Offending Adam, among others. Her poetry reviews have appeared in Jacket2, Galatea Resurrects, Openned, Cut Bank, New Pages, The Rumpus and Rain Taxi. Reed lives in Syracuse, NY, and is co-publisher and managing editor for Black Radish Books. Counter-Desecration: A Glossary for Writing in the Anthropocene, edited with Linda Russo, is forthcoming from Wesleyan University Press (2018). Her manuscript, an earth of sweetness dances in the vein, was a finalist in Ahsahta Press’ 2006 Sawtooth Poetry Contest; her manuscript Nights Reading was a finalist for the Elizabeth P. Braddock Prize (Coconut Books). An essay on Claudia Rankine’s The Provenance of Beauty: A South Bronx Travelogue appears in American Letters and Commentary. Reed guest edited the Dusie Ecopoethos Issue (#17). 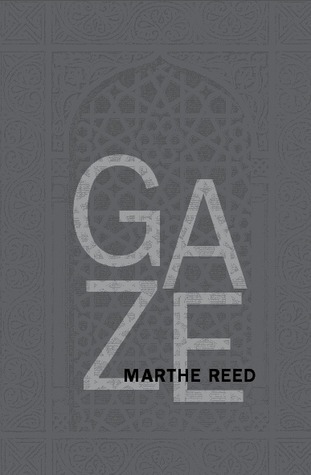 GAZE is available through SPD. Nicole Mauro reviews Reed’s Nights Reading at Journal of Poetics Research. Lauren Hall reviews Nights Reading at The Rumpus. Three poems from Nights Reading at Jacket2.